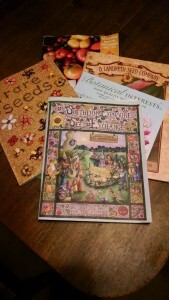 Posted in Uncategorized, winter gardening. That’s the question I was asked this last week. My first response was: if they are not growing any winter vegetables, to bury the garden in leaves – several inches thick, watered down. Even some cardboard, well moistened. This will help put organic matter back into the soil. Another way to help the soil is to grow a cover crop during the winter – maybe hairy vetch – which fixes more nitrogen in the soil. Leaves are so plentiful this time of year. If they do not come from your own lot, you can easily find bags carefully left on the curb – ripe for the removal by scavenging composters and gardeners like me! The last place they should be going is the landfill. 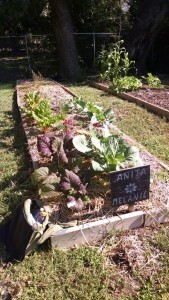 Many community gardens are lacking the carbon/brown needed for a good compost pile – leaves on the curb are an excellent source. 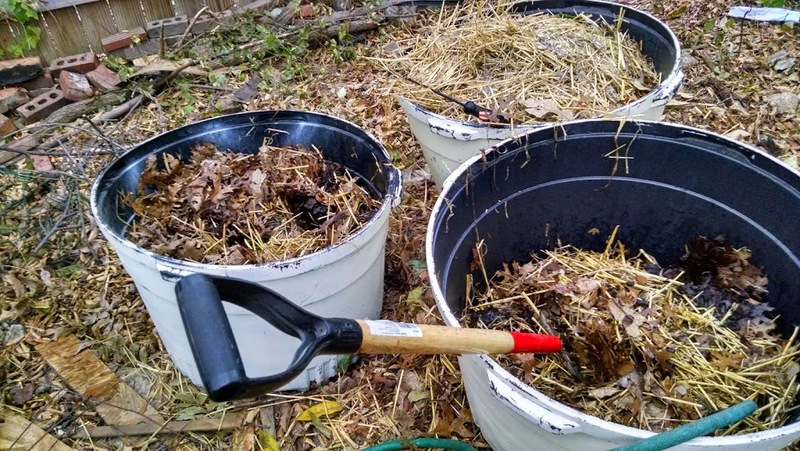 Compost is another treatment you could use for wintering over, layered a few inches deep on top of the soil, and then maybe spreading some azomite to add trace minerals to the garden bed. Azomite is said to contain as many as 70 trace minerals that are needed to grow healthy plants. We have systematically removed these trace minerals from our soils, by growing plants with simple, commercial fertilizers. The plants take up the trace minerals and, when the plants are removed, so are the minerals. However if we mineralize the soil, the plants take it up, we eat the plants and our health is improved. Then, when we compost the waste and then put it on the garden, those minerals are returned to the soil. A good garden soil will be rich and soft. So soft, you can easily grab a handful from deep down. If it’s dry and dusty, then it is lacking in organic material. If you are growing winter vegetables, make sure they are mulched deeply. This will not only help the plants weather cold spells, but that mulch will work its way into the soil and help improve soil fertility as well as water-holding capacity. The bed pictured on the left was well mulched with straw before the cold weather hit. It is still growing mustard and chard, and the mulch protects the feet of the plants from freezes, as well as holding in moisture – and that protects the plants from cold, drying winter winds. By spring, the straw will have started decomposing and becomes compost to feed new plantings. And the soil….this is where it all starts! If the soil is not healthy (read: full of micro-organisms) then it will not produce healthy plants. 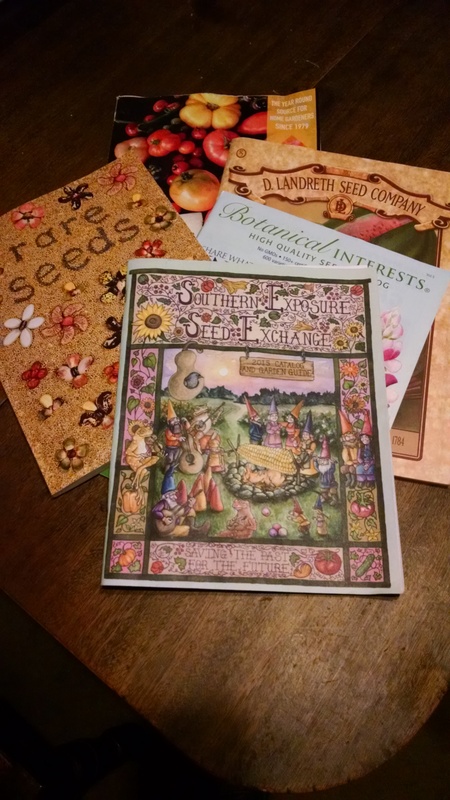 I’ll talk more about soil in another post – as well as give you a way to inexpensively do a soil census of your soil’s living organisms. Posted in compost, garden, mulch, soil, straw, winter gardening. Interplanting is a technique that is used to obtain twice the harvest from the same space. For instance, I will plant root vegetables (that use the growing horizon under the surface) with a leafy vegetable (that uses the growing horizon above the surface). One combination I use is carrots and mustard/chard/spinach. Another combination I like is turnips with bok choy. I winter plant my carrots in the midst of other plants (e.g., greens) because the greens protect them (it’s called using nurse plants) until the nurse plants are harvested – usually about the time the carrots are ready to take off (in January and February). That way, I get bunches of carrots when I’m getting ready to plant the spring garden. Meanwhile, the greens in my outdoor garden are getting larger. Every time I harvest some, it seems more grow to take their place. The red mustard must be at least 15-18” high! The lettuce is about to bolt, so it’ll go into my salads this week. I think I’ll plant more red mustard for the color as well as the nutrients. Of course, the kale is happy, and I see the carrots are starting to take off. Work is continuing on the compost pile, while the microgreens grow higher – selectively. I decided to use three containers for the compost pile, especially since I had 2 containers’ worth of leaves and chicken coop straw. With a third, I was able to turn the first pile and make sure it was moist. Green matter from the kitchen was added and mixed in well. I was able to use a short-handled fork – one that is commonly used to turn over garden areas. The second container will now be turned into the first, which is now empty. I’ll probably cover the “completed” one to let it heat up; but I’ll continue to turn it on a weekly or bi-weekly basis to make sure it’s aerated. The microgreens are about ready to harvest with kitchen shears – at least SOME of them are. I’ll have to taste them to determine which ones are the fastest growing. I may share some of these with my chickens. In fact, I’ll probably prepare another tray of microgreens just for them. At the rate the greens are growing, I could start a tray about every week or two and have a steady supply of tasty salad add-ons throughout the winter! 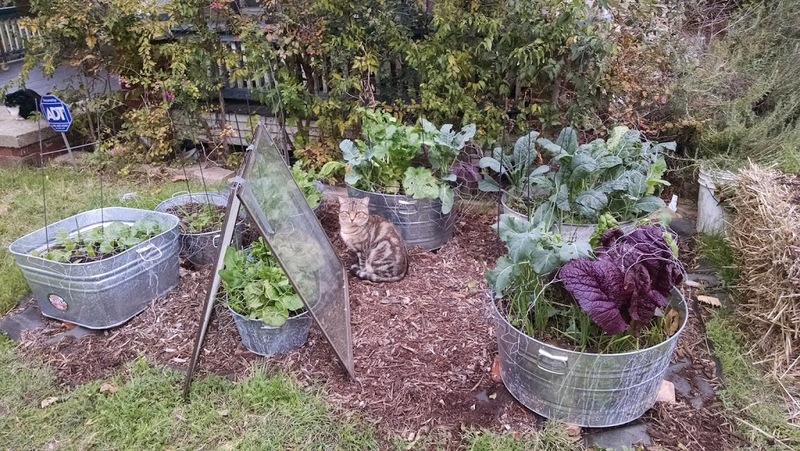 Posted in compost, gardening, greens, interplanting, microgreens. Compost is one of the “vitamins” we offer our plants. Compost can be made in a large bin (e.g., 4’x4’ pallets), a wire bin, a tomato cage lined with wire mesh, a trash can (DIY compost tumbler). The important thing is to keep the mix of brown and green, keep it moist (like a sponge) and keep it turned/aerated. 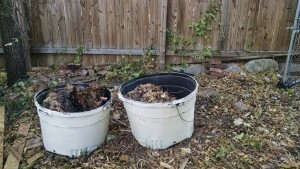 I wanted something smaller for my composting, something I could move about if needed. Since I had a number of containers used by landscapers to transport trees, I decided to repurpose them. They are a decent size – about 30” in diameter and about 18-20” deep. They also have drainage holes in the bottom. I wanted them closer to the back door than the compost pile I had 25 years ago, because the easier the access, the more likely I am to deposit food waste into it. 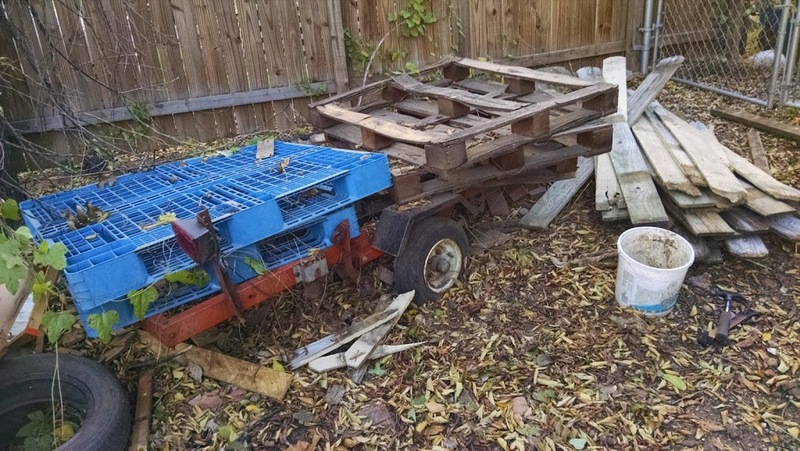 However….the spot was occupied by an old utility trailer covered with scavenged fence pickets. I spent the afternoon removing nails from the pickets and stacking them elsewhere. A friend helped me to move the trailer out and the bins in. Now, the bins already contained leaves from last fall, so I had a head start on the brown for my piles. A compost pile needs four things: carbon materials (“brown”), nitrogen materials (“green”), air and water (50-60% moisture content). If the pile is dry and doesn’t decompose or heat up, it has too much brown or not enough water. The pile should be moist so that, when squeezed, a few drops of water come out. If the pile is slimy and smelly, it has too much green or wet, and needs more brown and aeration (turning). The rule of thumb is 3 parts brown to 1 part green. I have the brown, and cleaned out the chicken coop, which gave me some nice chicken manure rich in nitrogen. I’m also picking up some additional “green” from a friend who has too much of it. There are also a couple of bags of coffee grounds my daughter brought over from Starbucks, so with some water for moisture I have a good start for composting! For turning, since the bins are closed on all sides, I found a couple of grill lifters on clearance from Target. They look like angled forks, and should work sort of like tossing a salad. So….what can I include as browns? Well, cardboard (shredded is best), wood ashes (but not much), dead, woody plants (chipped/shredded trees, brush), leaves, grass (brown only), sawdust, straw, dryer lint, vacuum cleaner waste, paper or wood products (e.g., shredded newspaper, magazines if not too much slick paper) and natural fibers (like 100% cotton, wool, silk). The greens – nitrogen sources – include grass clippings, hay, fresh green leaves, manure, kitchen scraps (no meat! ), coffee grounds and tea bags (make sure the filters are biodegradable. When putting items on the compost pile, think smaller – break or shred or chop larger items so that there is more surface area for the microbes to act upon. The bigger the pieces of material, the longer they take to break down. When you turn your pile, break up any clumps that you find. Turn the pile often – this keeps the pile aerated and anaerated pile heats up with the microbial activity. And you’ll know when it’s done because it will be crumbly black and rich, and smell earthy. And, most importantly, turning the pile keeps the critters out! 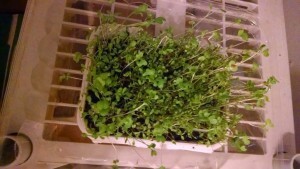 The micro-greens I talked about last week sprouted within two days! I have watered by placing the grow tray in a larger tray with water. This lets the medium and plants soak up what they need. I leave the tray for about an hour or so, then empty the excess water and return the tray to its spot in the sun. As you can see, the greens are coming along nicely – some are over 2” high. 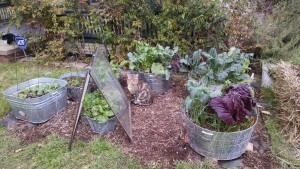 If they keep this up, by the end of 10-14 days I can start harvesting by cutting the greens for salad. 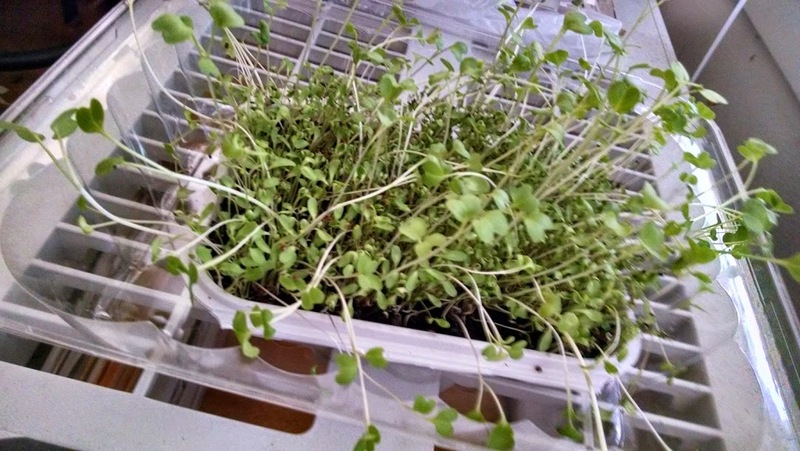 The neat thing about micro-greens is that they pack all the nutrients of the full plant in just the small sprout package! 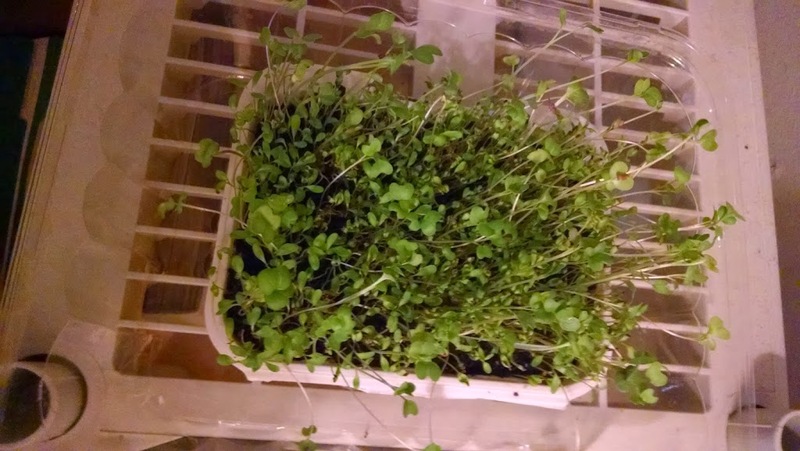 Posted in compost, compost bin, microgreens.